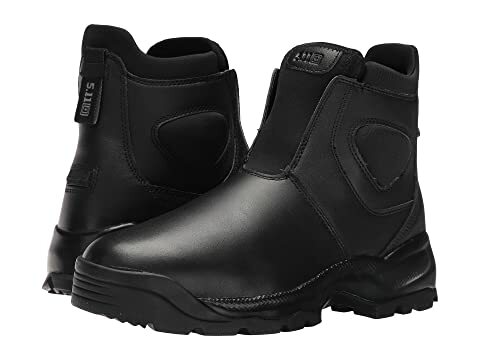 The 5.11 Tactical® Company Boot 2.0 boot offers a steady and comfortable style for all-day performance. 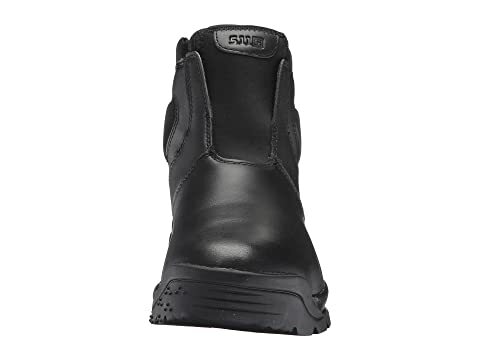 Plain toe work boot ideal for everyday wear. 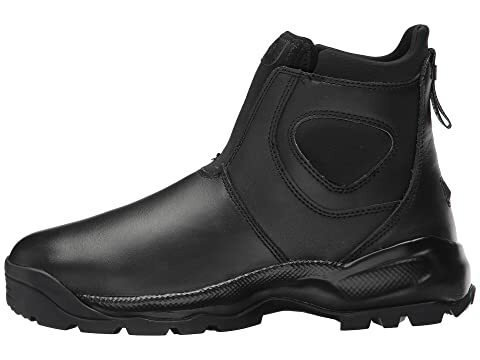 Slip-on boot with gore front panel for both flexibility and a secure fit. Quick Call collar and kick plate for easy on and off. Moisture-wicking textile lining offers excellent breathability. Odor Control technology in the lining offers excellent antimicrobial protection for a fresher foot environment. Cushioned Ortholite® insole with open cell foam cushioning provides excellent underfoot support and comfort. 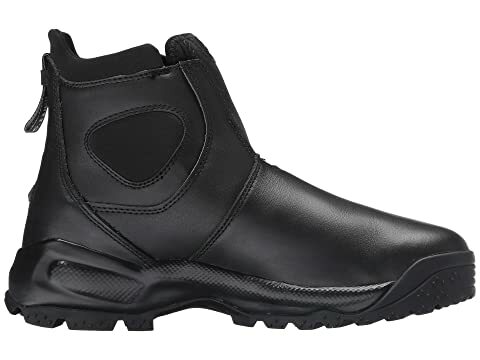 Injection-molded Phylon midsole with 5.11® Shock Mitigation System provides excellent shock absorption and support. 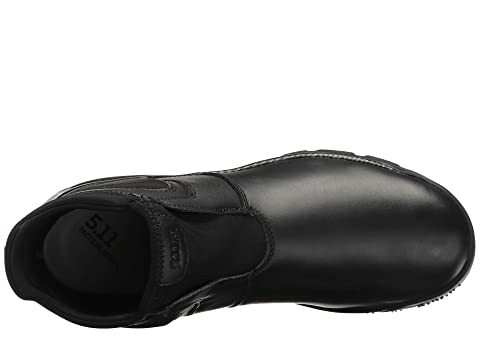 Features multi-directional traction climbing lugs for enhanced grip and control. 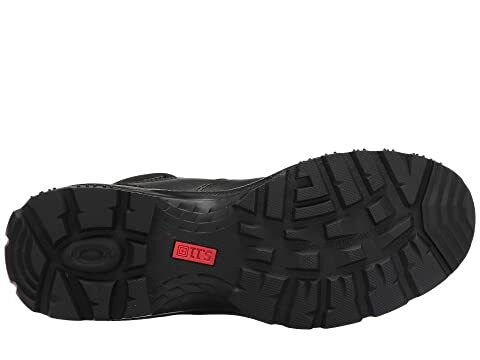 Oil and slip-resistant outsole promotes enhanced speed and traction.